Petre Construction has over 20 years experience in custom installed modifications tailoring to individual needs. Petre Construction has over 20 years experience in custom modifications tailoring to individual needs. 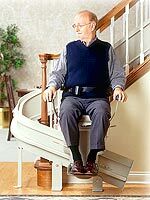 Whether it's a bathroom modification or a porch lift, we have the knowledge to assist you. Petre Construction can make your life accessible again.